Final Program is now available. To download the program, click here. After a very successful 18th edition of PAFCIC that took place in Khartoum (Sudan) on October 8 to 11, 2017 and that was jointly with The PASCAR congress, The Sudan Heart Society meeting and The World Heart Federation Africa Summit, with the participation of 722 participants from 18 countries, PAFCIC is conitinuing its journey inside the African continent with a 19th edition that will take place in the heart of Africa, Niarobi (Kenya) on October 18th to 20th, 2018. The congress will be organised jointly with Complex PCI congress. a Kenyan initiative launched few years ago by Dr Mohamed Jeilan and Dr Harun Otieno. 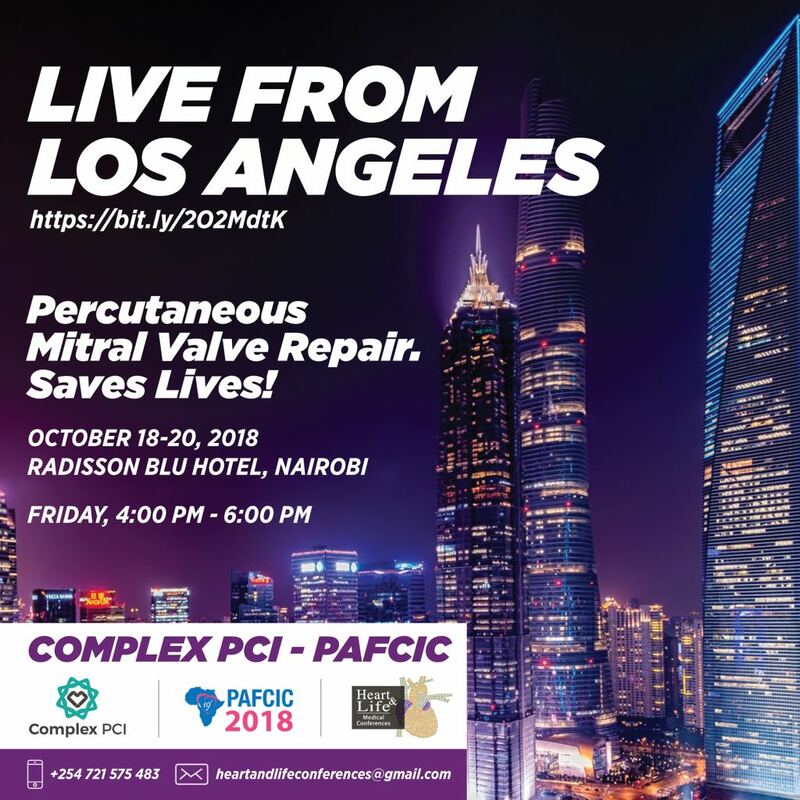 This is going to be an important gathering where general cardiologists but also from other sub specialties will have the opportunity of interacting and networking with their interventional cardiology colleagues coming from the four corners of the African continent, to discuss how to improve cardiovascular care in Africa. Thanks to the contribution of a very active and dynamic scientific committee including PASCAR Interventional Cardiology Task Force a very exciting program is being constructed, combining practical workshops, lunch debates, live-in-a box sessions, live case transmissions, state of the art and keynote lectures by renowned high level faculty from around the world, dedicated sessions for cath lab technicians and CCU nurses, and dedicated sessions for young cardiologists. So please save the date, plan to be part of this promising event and just come to Nairobi to meet with your colleagues and friends AND to taste the best of the adventure city of Nairobi.